Polls are open from 6 a.m. to 8 p.m. Photos: Endorsed gubernatorial candidate Dan Malloy began Monday before 6 a.m. at a factory gate greeting workers. 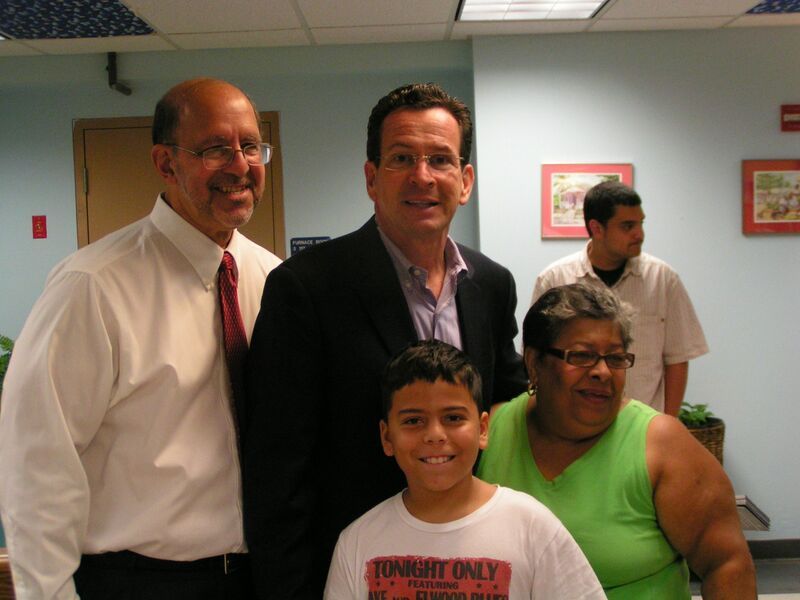 He then came to New Britain to meet and talk with seniors at Perlas Hispanas Center on Armistice Street to encourage voter turnout in Tuesday’s Primary. He was joined by Lt. Governor candidate and State Comptroller Nancy Wyman. 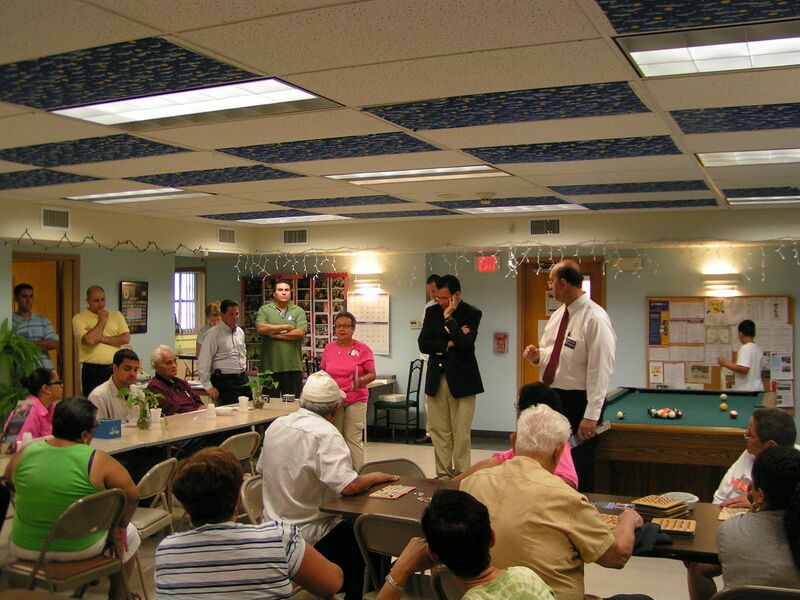 State Senator Don DeFronzo, DTC Vice Chair and BOE member Bob Sanchez and DTC Chair John McNamara accompanied Malloy and Wyman on their New Britain stops. 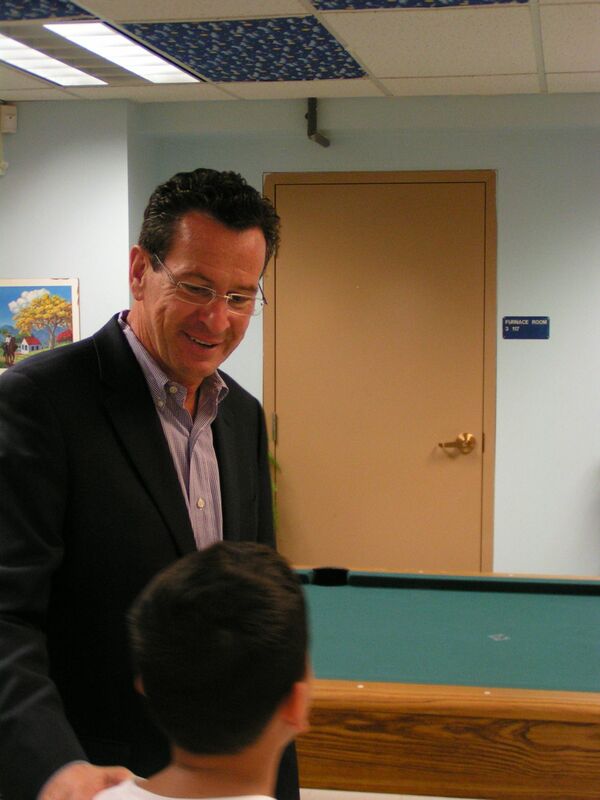 This entry was posted in Malloy, Rock The Vote. Bookmark the permalink.